The Beauty Suite is located in room 12 (First Floor), 18 Lemon St, Truro. No 18 used to be the lower GP surgery and is directly opposite ASK Italian restaraunt. On entering the building you will see a stair case on your right hand side. Proceed up the stairs, room 12 is the first on your left. Please come in and take a seat at your appointed time or a few minutes before. To discuss or book an appointment please call the free phone number (in left hand border of every page). Alternatively you can call or text me on 07967 293318 every day until 10pm. You are also welcome to use the 'contact us' from the menu to send an e-mail. Having left the NHS following a 15 year career as an Occupational Therapist, I undertook my beauty therapy training at Truro College followed by specialist courses in Bristol, London and Manchester. I openend 'The Beauty Suite' in November 2006 and have been trading in Truro town centre since then. During my time in the NHS I also gained a Master of Science degree in Health Care. While I enjoy all my treatments I have a special interest in skin care and aesthetic facial treatments. 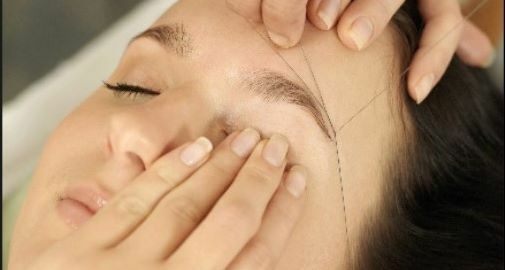 Due to a shift in the demand for certain services that I provide The Beauty Suite now specialises in skincare and facial aesthetic treatments to include a wide range of lash and brow treatments. All services on the menu are available. *Plasma Pen by Louise Walsh Int. * Available January 2019! The most advanced non-surgical fibroblasting treatment for skin tightening, skin lifting and rejuvenation. After months of research I have chosen Louise Walsh as my provider for their German manufactured, CE certified device. For further information please see the main menu. * Henna Brows - using henna to colour and define your brows! Henna lasts up to 6 weeks on the hair and 2 weeks on the skin so giving longer lasting results as compared to traditional tint. * 'Lift & Tone' by Crystal Clear - using microcurrent this treatment gently tightens and tones the face and neck muscles, smoothing the appearance of fine lines and wrinkles. * Microdermabrasion - A clinically proven skin resurfacing treatment to effectively treat a whole host of skin care concerns. * LED Photo Facials - using light at different wavelengths for collagen boosting or for acne treatment. This is in addition to Environ's extensive list of vitamin infusing anti-ageing treatments and skin peels. All skin consultations are 30 minutes, free and include analysing your skin under a scanner. Watch this space, the facial pages of the website will be updated accordingly. I am also pleased to welcome specialist aesthetics nurse Claire Connelly who is now visiting The Beauty Suite offering a range of medical aesthetic treatments to include injectables, skin peels and micro-needling. Do 'like' The Beauty Suite on facebook...here you can see photos of my work, updates and special offers! Gift Vouchers - for any amount or a chosen treatment. A loyalty scheme which rewards you with discount! £5 off your treatment when you recommend a friend. A deposit is required for certain treatments, this can be paid via card over the phone, BACS or PayPal. If you are unable to keep your appointment then I ask that you please let me know, ideally the day before at the latest (see below). Toddlers and young children are not permitted in treatment rooms. This is primarily for health and safety but also in consideration to other clients receiving treatments. Mobile phones should be silenced or switched off in consideration to others. Treatments and prices may be subject to change without prior notice. It is understood that booked appointments can not always be kept. Please call/text 07967 293318, e mail from the 'contact us' page or use facebook if you can't keep your appointment. A first missed appointment for treatments over £10 will result in a fee of half the treatment cost. This applies should you cancel on the day or fail to attend. A second non-attendance however will incurr payment of the full treatment cost. For this reason certain treatments require a deposit on booking. I would like to thank you for your co-operation and understanding. I look forward to welcoming you to The Beauty Suite!